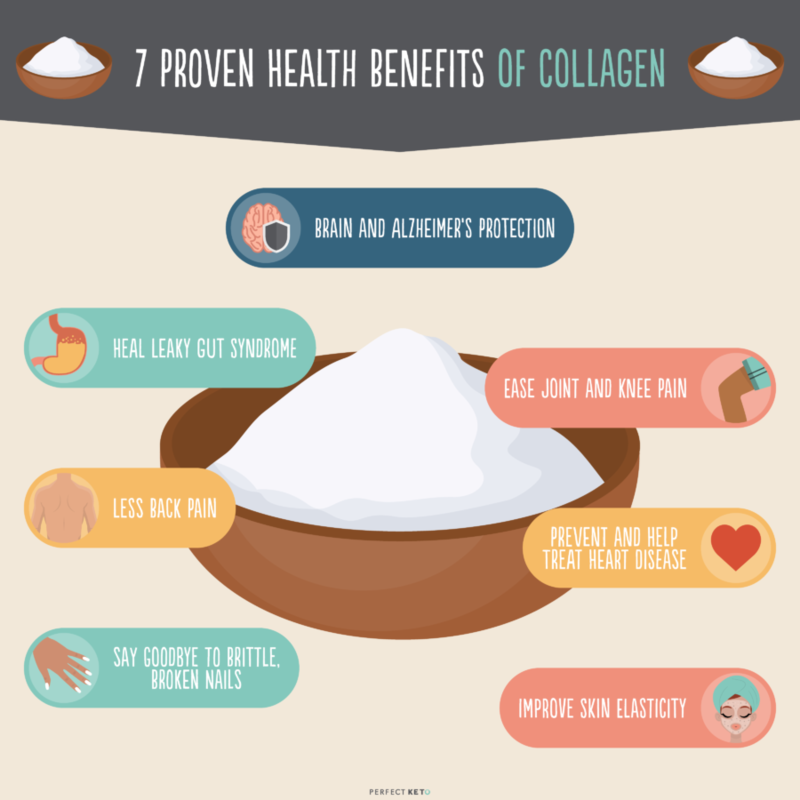 By now, you’ve certainly heard about the health benefits of collagen. But is there any scientific evidence to back up the hype? 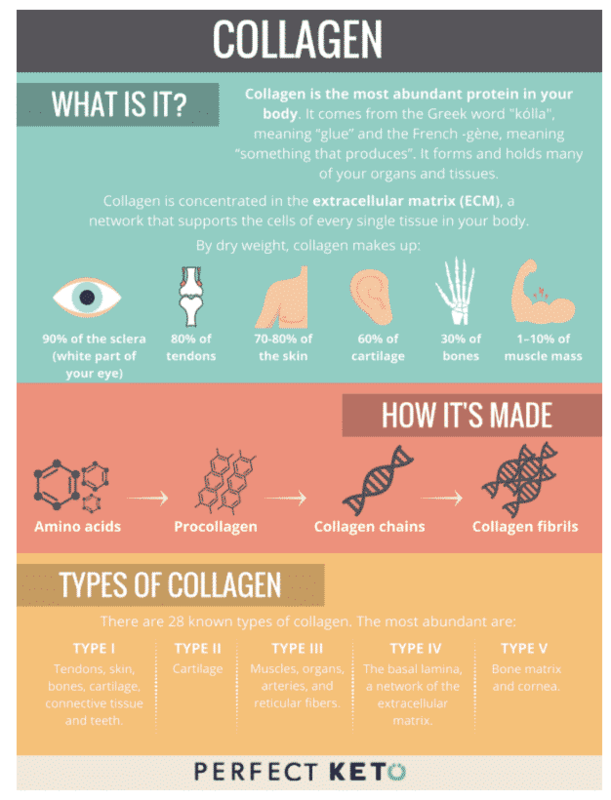 To start, here’s a brief overview of collagen so you can understand why it’s so important for your health. What Is Collagen, and Why Is It So Important? It’s the most abundant protein found in your body. It’s also one of the most vital proteins your body needs to function. Collagen is the glue that holds your body together. Since it’s a major component found in your connective tissue, collagen maintains the structure and integrity of your skin, muscle tissue, bones and tendons. It sends out important signals to your cells. These signals can combat inflammation and repair damaged cells. Your collagen production declines naturally as you get older. You may need to consider supplementation to meet your body’s needs. For more on collagen and how it works, check out this ultimate guide to collagen. Most people are familiar with collagen thanks to its use in beauty products and treatments. Collagen has been touted for its ability to help boost your skin moisture, erase fine lines, make stretch marks disappear and deliver envy-inducing hair growth. But before you attempt to replenish your collagen levels by slathering on fancy skin creams, you should know that you won’t get the benefits discussed in today’s guide through topical application. Why? Because you need to consume collagen to capture all its amazing health benefits. When ingested, collagen benefits your brain, heart and digestive system. 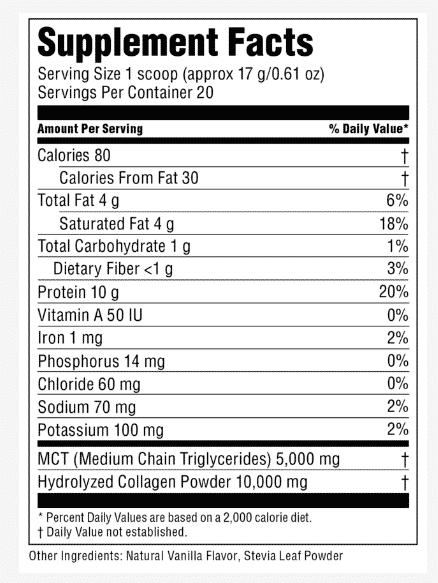 Pro tip: When taking collagen, supplement with vitamin C, as it helps better absorb the nutrients in collagen. Now that you understand collagen a bit better, let’s get to those seven science-backed reasons to consider adding it to your diet. One type of collagen (known as collagen IV) may prevent the onset of Alzheimer’s disease. In one study, collagen IV protected the brain against amyloid-beta proteins — believed to be one of the causes of Alzheimer’s[*]. Amyloid-beta refers to the type of amino acid that clumps together, forming a plaque which is commonly found on Alzheimer’s patients’ brains[*]. By increasing your collagen intake, you can create a form of protection for your brain that combats the same amyloid-beta proteins that attack neurons and cause Alzheimer’s disease. Before this study, scientists knew how collagen, cartilage and muscle were intertwined, but they didn’t know neurons in the brain were also a rich source of collagen IV[*]. Collagen may help lower your cholesterol and prevent against heart disease. During one study, participants were given collagen twice a day for six months to see if it helped prevent against the buildup of plaque in their arteries. A buildup of plaque is what clogs your arteries, preventing blood from flowing to other organs. Collagen may help prevent this buildup in your blood vessels, protecting against heart attack and stroke[*]. Irritable bowel syndrome (or IBS) and leaky gut syndrome are two painful conditions where the digestive tract and stomach lining become inflamed and irritated. IBS can be triggered by stress, poor diet, prescription medications, too much alcohol and a sedentary lifestyle. Nutrients and toxic substances get “leaked” back into the bloodstream instead of being processed out. This negatively impacts your digestive health, causing uncomfortable side effects like bloating, fatigue, upset stomach, diarrhea, constipation and malnutrition. Rather than being absorbed, vitamins and minerals pass right through your system. Bone broth, which is an incredible source of collagen, is one of the best natural ways to treat leaky gut. Studies show patients with IBS tested low for collagen IV[*]. Broth contains bioavailable collagen, which means your body can quickly use this protein and the other vitamins, minerals and important amino acids (the building blocks of protein) that come with it. Even if you don’t suffer from IBS symptoms, collagen is an excellent supplement to take for gut health. You don’t need to be an athlete to experience joint pain. Whether your job keeps you chained to your desk or you’re on your feet all day, joint pain is something that may come up from time to time. Some people are so sensitive that even cold weather is enough to stiffen up their joints. Research shows collagen may be able to provide natural relief. In a 24-week study, researchers gave collagen supplements to athletes without any joint diseases to see how it would affect both their cartilage and pain levels[*]. The results showed that collagen reduced pain while standing, lifting heavy objects and even at rest. While more research is still needed, this study supports the possibility that collagen may help slow down joint deterioration in individuals, such as those with arthritis or rheumatoid arthritis. In another study, scientists experimented to see how a collagen supplement would affect knee pain (specifically, osteoarthritis pain). After 180 days, participants experienced lower scores on the osteoarthritis index and less pain, stiffness and physical limitations, improving the body’s ability to heal[*]. Individuals suffering from back pain may find relief by taking collagen. One study gave 1,200 milligrams of collagen a day (or a placebo) to 200 individuals. All participants were over the age of 50 and had pain in their upper or lower back[*]. The result: By the six-month mark, over 20 percent of the collagen group saw a significant improvement in their back pain after taking collagen every day. Along with limiting sun exposure and drinking lots of water, you’re probably familiar with the claims about collagen’s magical anti-aging properties for your skin health. But what does the research say? In one recent study, scientists wanted to see how collagen would affect collagen peptides found in the skin. The study observed 69 women between the ages of 35 and 55 for eight weeks. Women who took a collagen supplement showed noticeable differences in skin elasticity compared to women who took a placebo[*]. What’s even more interesting is the older women in the collagen group actually experienced more noticeable improvements, possibly because collagen production decreases with age, leaving greater room for improvement. Scientists also noticed positive changes in the participant’s skin’s moisture and dryness levels, however, it was not statistically significant enough to report. Another study found that oral supplementation with collagen improved skin hydration levels in just eight weeks[*]. Here’s an important finding to note: Researchers discovered the changes in the participants’ skin only when hydrolyzed collagen was consumed[*]. Why? When this form of collagen is ingested, it’s immediately absorbed by your gut and is sent straight to your joints and skin through the highway that is your bloodstream. There are very few things as frustrating as a broken or chipped nail. If you’re on the go without a nail file, you’re left with a sharp dagger for a finger that you constantly snag and slash things with. Plus, 88 percent of the participants also reported these positive changes were visible in as little as four weeks! So now that you’re brimming with information on collagen health perks, you’re probably wondering how you can get your hands on some too, right? Should you buy a collagen supplement? Or can you find it in the foods you typically eat? 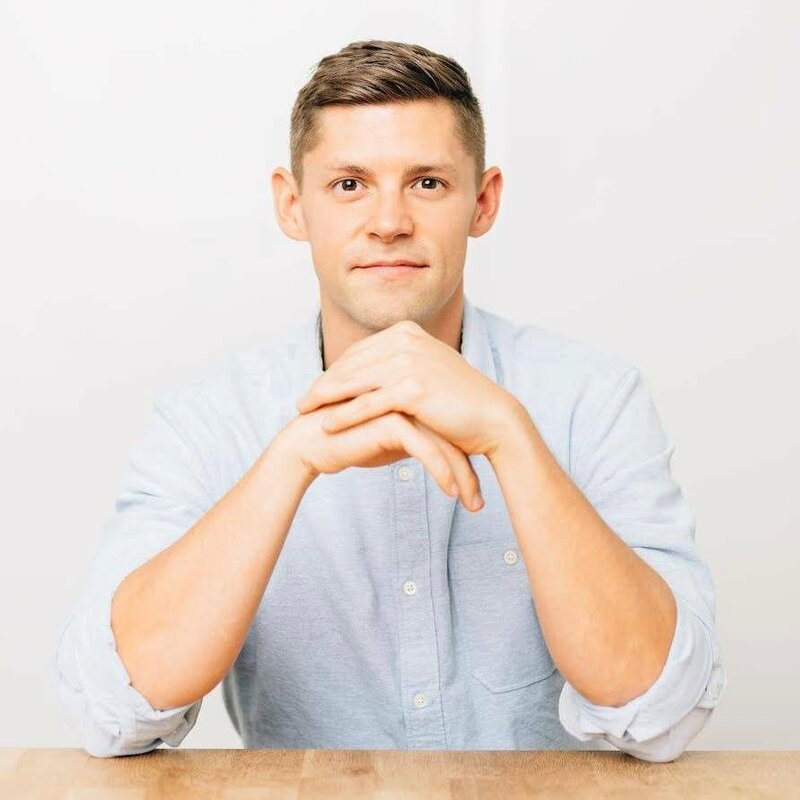 The truth is you don’t need to fork over hundreds of dollars for collagen supplementation — you can find it in healthy foods like bone broth. Broth is one of the richest sources of collagen and it’s easy to make your own healthy keto version too. For a complete list, check out this guide. Keep in mind, your body is not getting collagen directly from the foods, rather, these foods may help your body produce more of it on its own. Collagen supplementation is the only way to absorb collagen directly. This Keto Collagen powder is packed with 10 grams of collagen peptides and contains 10 grams of protein per scoop. Each scoop is equivalent to the amount of collagen you’d find in two cups of bone broth. Plus, there’s even added MCT oil to boost your energy levels as well. Why is this so important? By pairing collagen hydrolysate with 5 grams of MCTs, your body slows down its absorption of the protein so it can use it for recovery instead of converting it right away to glucose. Thanks to this and the low carb count of 1 gram, this protein powder won’t spike your blood sugar levels like some others on the market. And while other collagen powder may be made from random animal parts, ours contains 100% grass-fed collagen from USA cattle. You also won’t find any artificial colors, flavors or preservatives. To get started, add a scoop to your morning or mid-day drink to maintain a healthy energy level throughout the day. You can also consume it before, during or after your workout for an energy boost and to speed up recovery. Now that you understand the benefits of adding collagen to your life, and you know just how easy it is to consume foods to help your body produce more it, it’s time to start paying attention to your intake level. For readers looking for the most efficient solution, consider adding keto-friendly collagen protein powder to your daily routine and you’ll cross one more healthy to-do off your list. Shell I eat cherry in the diet…?? Does this Keto Collagen include the brain & Alzheimer’s protection collagen IV? 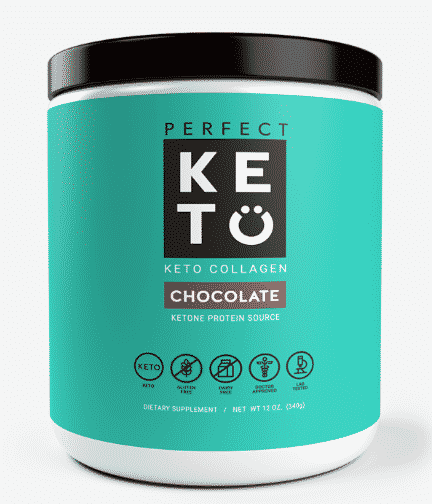 Hi Amy, our Keto Collagen powder contains type 1 & 3. Hi Norma, it depends on your dietary needs and goals.